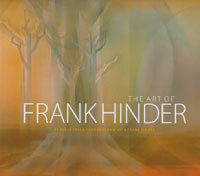 Frank Hinder’s life spanned the 20th century, 1906 - 1992. He was born in the revolutionary decade in which Marinetti announced in 1909 - “Destroy the past!” The call was to make a new art for the 20th century. 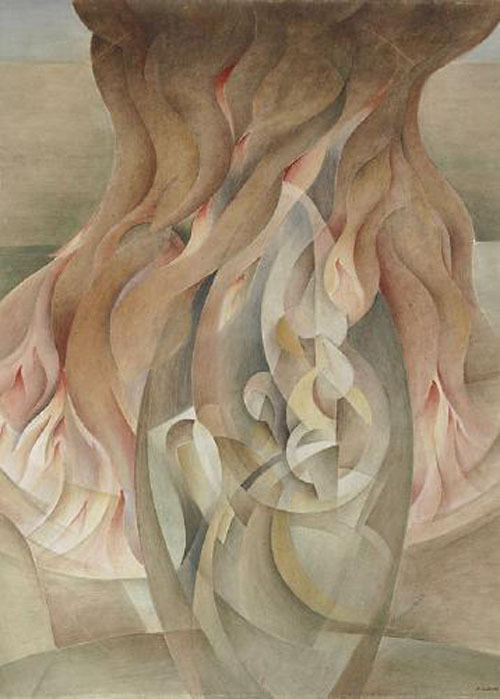 Cubism, Futurism,Orphism, Abstraction, were all created in this new spirit before the first world war. James Gleeson was questioning, with Freud and Jung, the reasonableness of ‘reason’ - creating a Dionysian surrealist language for the century of Kafka, Hitler etc, the never-ending list. Hinder forged an opposite Apollonian language, believing reason led to order and order hopefully to beauty. Hinder projects his vision of luminosity onto the universe. His language expressed the interconnectedness of everything. Naturalism, Semi-abstraction, Abstraction were all aspects needed for an inclusive world view. He believed art could get as close as science and philosophy to the unreal ‘real’ behind the looking glass of appearances. It has been a paradox of abstraction that it is closer to that ‘real’ than realism. Two of his favourite expressions were I don’t know and It’s all words. 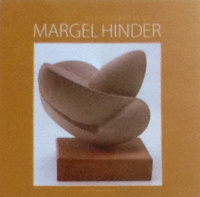 This website is a showcase of Frank Hinder's art in its themes and variations, with a searchable catalogue of many of the artist's works produced over nearly 80 years. Lithographs, not included, are under separate research by Bloomfield Galleries.